Although Mercury Records had delivered five consecutive platinum albums for John Mellencamp, he left the label in 1997, complaining about its inability to break hit singles for him anymore, and signed to Columbia Records. His self-titled label debut, issued the day before his 47th birthday, seemed intended to mark a new beginning for an artist who had managed more than one career rebirth. Commercially, it did not fulfill that ambition, becoming his worst seller in 19 years. 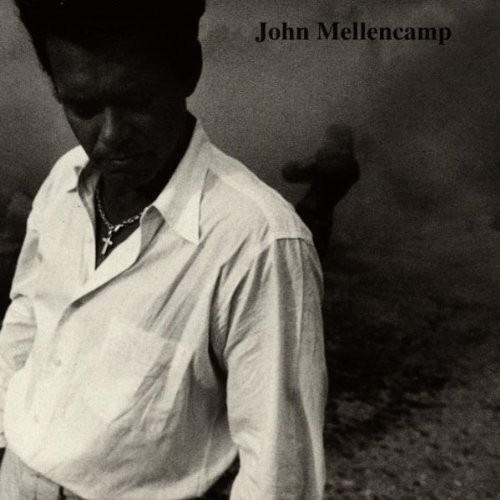 Artistically, it represented not so much a new Mellencamp as another Mellencamp album. The musical style remained firmly rooted in 1966 pop/rock (you had to figure the man's personal jukebox included songs like Los Bravos' "Black Is Black," Donovan's "Sunshine Superman," and the Rolling Stones' "19th Nervous Breakdown"), despite a few interludes of unusual instrumentation (like what Brian Jones used to bring to the Stones). Lyrically, Mellencamp continued to preach an unearned pessimism that he seemed to hope would be mistaken for thoughtfulness. Still obsessed with being taken seriously, he continued to think that the best way to achieve that was to sound serious, and he did, on Biblical treatises like "Fruit Trader" and "Eden Is Burning" and simple-minded philosophical statements like "Your Life Is Now." But the album's best material was found in songs he probably thought of as throwaways, the catchy Caribbean rhythm number "I'm Not Running Anymore" (which could have been a hit single) and the best of the romantic tunes, "Miss Missy," songs that were actually about something. If he really wanted to reinvent himself again (and ignite his record sales), he would have been better advised to invest his music with more of this sense of fun -- dare we say it? -- to put a little Johnny Cougar back into John Mellencamp.